Product code: ES7634 Categories: Antique, Antique Engagement Rings, Antique Rings. Sitting perfect on any finger, this antique sapphire and diamond ring made in the early 1900’s will always get the attention and admiration that it deserves. 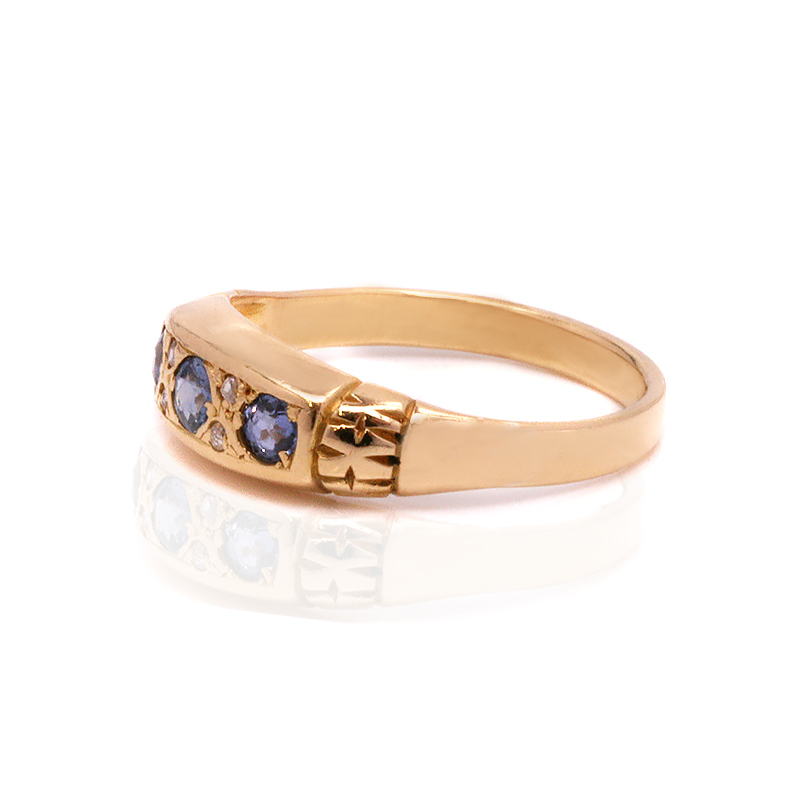 Made in 18ct yellow gold, the ring is set with three lovely Ceylonese sapphires that total 0.35 carats and are all matched so well in colour and transparency. The wonderful blue showing from these sapphires is just perfect and then not only the sapphires but also the ring is highlighted with four diamonds that add an elegant sparkle to the ring. Measuring 13.5mm across by 6.1mm wide, this ring has a lovely curve to it allowing it to be so easily worn on a daily basis. 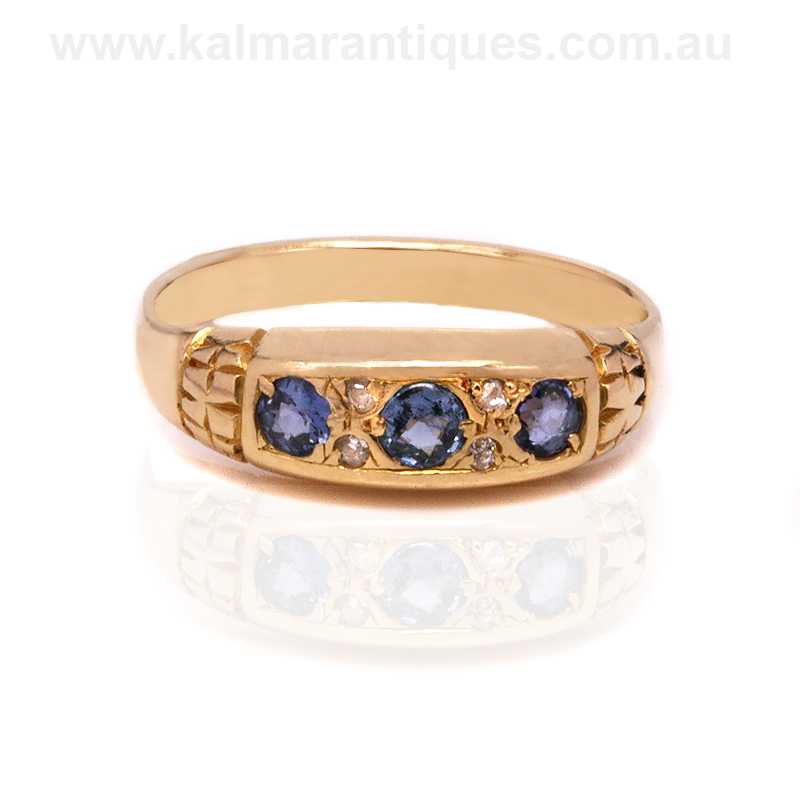 Perfect for any finger and occasion, this is a lovely antique sapphire and diamond ring that is just delightful to admire.